Sorry, this job expired on Feb 24, 2019. Below are other jobs that may be of interest to you. 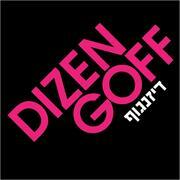 DIZENGOFF, a traditional Israeli-style hummusiya in the Rittenhouse Square neighborhood of Philadelphia, is seeking a motivated, hospitality-minded sous chef/kitchen manager. This is no ordinary sous chef position: you will wear many hats! Candidates must be fired-up about hospitality and providing a welcoming experience for our guests. Candidates put the guest first while paying close attention to the details. Dizengoff is a fast-paced restaurant – candidates must be able to handle high volume with an upbeat attitude, be self-motivated, and work clean while dishing up exceptional hospitality. Candidates can expect to interact with guests and provide front of house service including occasionally taking orders and running food. Key responsibilities include working a high volume cold station, overseeing prep production, managing a small staff, placing kitchen orders and serving as a gateway between our strong prep team and fired up front of house staff. Sister restaurants along with Zahav, include Federal Donuts, Goldie, Abe Fisher, and The Rooser, all in Philadelphia. A minimum of 1 year experience is preferred; the desire to make people's day is required. Apply today!